Figaro Coffee Offers Guilt-Free Treats for the Lenten Season! Last Sunday I invited some of my girlfriends for an afternoon of catching up. We all haven’t seen each other for a long time so I really felt very excited to see them. A friend of mine from Figaro invited us over to try out some of their dishes and drinks for the coming Lenten Season so we all decided to march down at their Philippine Heart Center branch because I find it to be quite cozy and quiet enough. I heard it’s very ideal to hang around at that branch specially every Saturdays if you’re looking for some quality quiet time! Ambiance for me is very important depending on the situation of course! If you aim to have heart to heart talks with your loved ones, it pays to pick a place that is peaceful enough and offer decent meals. It was really nice to see my friends again after more than a year and I believe Figaro was the perfect place that time. The place was very quiet, clean and the seats were quiet cozy enough no wonder I saw a lot of people staying there for hours. Figaro offered us a hearty heart-friendly healthy feast! While waiting for the others, we started off with some of Figaro’s cold drinks. It was perfect for that typical hot summer day! Quite refreshing! The black berry flavor made it taste more interesting I may say, with that hint of tang as opposed to ordinary coffee drinks. I found the coffee at Figaro to be very robust and full-flavored! The choco cookie made it even more interesting! Even my friends liked it as well! Being a fan of eggplant, it is actually my first time to have Grilled Eggplant Sandwich at Figaro. Eggplant and cheese always go in perfect harmony and the other fresh veggies nicely complimented one another. I believe however that it won’t hurt to add more eggplant to make it taste fuller and the bread should be a bit thinner to make the sandwich balanced. I little improvement won’t hurt but it tasted very nice! With regards to Figaro‘s pizzas, it still went with only one small size which is only good for one. I believe it is hard to justify its price since I don’t really find anything “gourmet” about their pizza. It did taste ok though.. more like a pizza which you can make at home. I like seafood on pizza so if I were to visit next time and order pizza, I believe this would still be my choice. Charlie seemed to like it a lot! The My Little Oscar by Figaro is exactly like Sans Rival I my say, with its layers of cashew meringue sandwiched with buttercream, and topped with chopped cashews. Sweet and oh so rich! Definitely a classic Pinoy dessert! Overall, the drinks at Figaro were very nice and their guilt-free dishes were also quite satisfying however as mentioned above, it won’t hurt to make some improvements. The dishes served at the Figaro are very much ideal not only for the coming Lenten season but also for everyone who aim to eat right and live longer. If you eat dishes as healthy as these, then you won’t have to visit your doctor at the Philippines Heart Center then! I say their Philippine Heart Center branch would be a perfect getaway place if you need some peace and quiet if ever you are near the vicinity every Saturday. It is also very ideal for business meetings as they have a function room which can accommodate up to around 15 people. I was also quite surprised that Figaro actually has a branch here! It will definitely be one of the places which I would consider when I would like to concentrate on writing my articles when in Manila. To view an insider story about our Figaro visit, check out EATS A DATE! 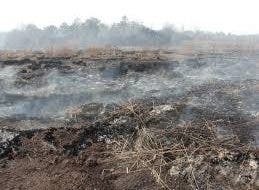 Why Do You Think the Soil in Saranggani Province Is Burning? QUIZ: Which Noche Buena Treat Are You?